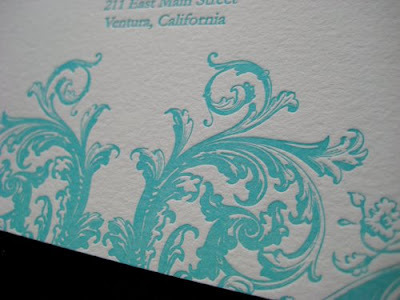 Letterpress printing, while incredibly gorgeous, can be incredibly expensive. 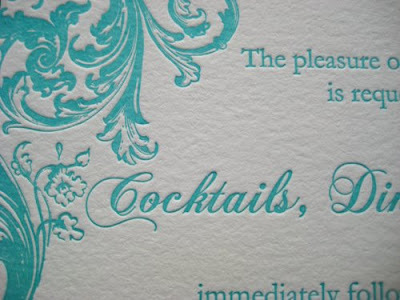 Printing 1 color is by far the most affordable option. 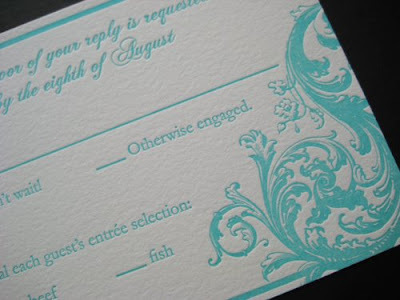 This invitation looks incredible in all aqua!